I cannot change my hat on any of the SE sites! An error occurred while changing the hat - please try again. I have tried several operating systems and browsers. What can I do? is there a way to change the size of hats? 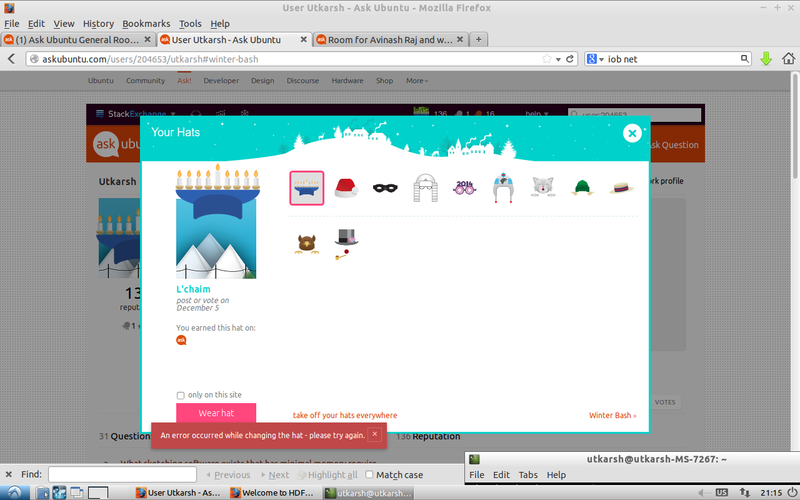 Ask Ubuntu version of “Oh The Horror” Hat Club anybody?